Careers in aviation are red hot. 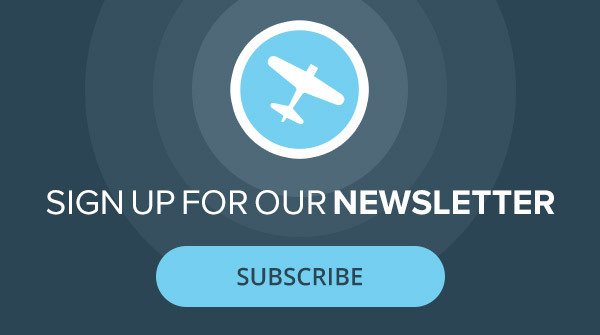 As you’ll read elsewhere in this special issue, aviation careers are hotter than ever, and that doesn’t just mean pilot jobs. The entire industry will need people to keep it running, from mechanics to gate agents to marketing professionals to, well, you name it. With aerospace giant Boeing, the largest airplane maker in the world, predicting the need for around two million new pilots and technicians in the next 20 years, you know the need is real. So here’s a look at aviation jobs and how they’re looking in 2019. Traditionally, the airlines have been seen as the ideal career route for pilots, with the ultimate goal being captain at a major air carrier. With the need for pilots at historic highs, the average median wage for airline pilots and flight engineers has risen to an all time high of $130,059. The Bureau of Labor statistics estimates that a 3 percent annual growth rate, but hiring trends tell a different story. It’s not unusual for a well qualified pilot to interview and be hired on the same day, and there are signing bonuses and training stipends being offered these days by some airlines, something that doesn’t happen in a tepid market. Even overseas carriers are hiring, and the pay is even better in many cases than it is in the United States. Chinese airlines continue to seek experienced pilots and are offering, in some cases, a starting salary of $200,000 or more per year. An Airline Transport Pilot (ATP) certificate, which is basically a more rigorous form of the commercial license. A special rating (called a “type rating”) for the airplane they’re flying; for instance, an Airbus A320. 1,500 hours of total experience as a pilot. This number can be substantially lower for pilots graduating from certain programs. There are exceptions for pilots with military experience or those who’ve graduated from a college or university. More than 1,000 hours of airline flying are required before a co-pilot can move to the left seat to be captain. The airline pilot job can be tough—pilots have to bid against each other for what routes and schedules they want, with those who have the most seniority getting first pick. Pilots often spend nights in hotel rooms. When airlines downsize, low-seniority pilots are the first laid off, and in lean times may spend many days “on reserve” waiting for a call to report for work. However, layoffs are not currently a problem. Quite the opposite, in fact. A slightly less-lucrative job—but often with better working conditions—can be found in specialized airline flying, flying charter flights, piloting corporate planes and flying helicopters, too. Even though that ATP certificate might not be technically required for most of these jobs, it’s often desirable. That said, again, it’s a job seeker’s market, so many of the old qualification requirements have been relaxed. For commercial-type flying, you make a little less on average—but still better than $85,000 a year--according to the BLS—and there’s robust growth in commercial flying, as these operators battle with airlines for pilots to fly their planes. Furthermore, many people prefer the lifestyle advantages that these jobs have over airliner flying. Interested in flying drones? You’re not alone. Luckily, there are pilot jobs available in unmanned aerial systems (UAS), as it’s technically called—along with jobs for sensor operators, planners and maintainers. In the past, most of those jobs were military or in various federal agencies. That has been changing as the FAA tests unmanned systems in the U.S. national airspace and regulations continue to evolve. Experts in the field expect that every flying job that’s “boring, dangerous or dirty” will eventually move to remotely piloted vehicles, including fire-fighting, pipeline patrol and agricultural spraying. A recently published FAA forecast predicts that there will be 420,000 unmanned vehicles operating in the U.S. airspace by 2021, making the 42,000 predicted just last year a wild underestimation. And how many jobs will there be for drone pilots? According to the FAA’s most recent forecast, within the next four years there will more than 300,000 commercial UAS pilots. That’s growth we last saw in aviation, well, never. “Aerospace” is the term for all forms of aviation, including space travel, and it’s a huge industry. And with lots of high-tech hardware and software, it has to be taken care of by somebody. Aerospace manufacturing and maintenance workers create and maintain the hardware that other aerospace professionals work with. 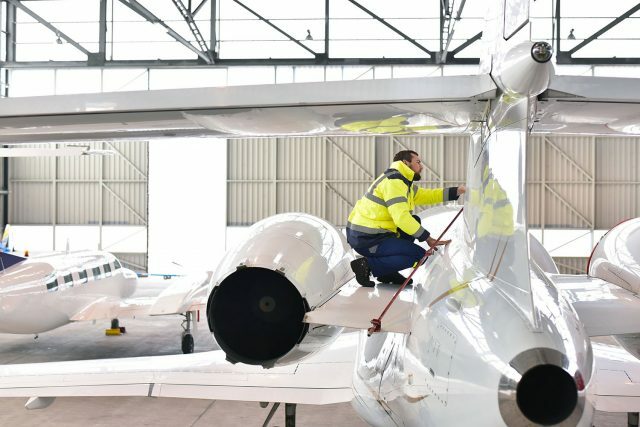 According to the U.S. Bureau of Labor Statistics, over 145,000 people are employed as mechanics, service technicians and avionics specialists at aerospace manufacturers, airlines and other operators, repair stations and Fixed Base Operators (FBOs). These jobs pay by the hour and often involve shift work, with the average wage of around $61,000 per year. Again, the job market is hot, which means wages are going up. According to the BLS, getting hired usually requires a semester or more of community college or other specialized training. Employment opportunities continue to pick up in this field as mechanics retire and new aircraft are introduced into service. One especially promising field is in installing and servicing aircraft electronics, with a couple of big fleet-wide mandates for new electronics driving a lot of the demand for training techs. There are substantial downsides to working as an aircraft mechanic or technician. These jobs can be short term, they can be physically demanding, and they put great responsibility in the hands of the certificated mechanic to get things right. It’s also a field with a lot of opportunity—the FAA plans to hire more than 1,000 controllers per year for the foreseeable future, mainly replacing controllers who have reached the mandatory retirement age of 56. The job involves shift work, usually adding up to a 40-hour week, though overtime may be required. According to the BLS, 90 percent of today’s controllers make between $66,390 and $172,680 per year. Today air traffic controllers make an average of nearly $120,000 a year. Airline dispatchers share responsibility with the captain for the safety of U.S. scheduled airline flights and are involved in many aspects of flight planning and operation. They’re required to pass an examination comparable in most respects to that required for the ATP certificate, and hours for dispatchers are limited by federal regulations. According to Airline Dispatchers Federation Executive Vice President John Schwoyer, employment in the field is “stable and a sought-after position within and outside the airlines,” estimated at approximately 5,000 licensed dispatchers in the U.S. Starting salaries vary from around $35,000 to better than $40,000 for new hires at regional airlines, with all but the top salaries maxing out even at major airlines topping out at just under $100,000.